Post X-Men: The Last Stand, Logan has now left the X-Men team in order to avoid harming anyone he loves again. He resides in the wild like the animal he believes he is. Until a friend of the past, Master Yashida, requests to see him for a final goodbye and thank you for saving his life. Escorted back to Japan he realizes that the gratefulness of Yashida is replaced with a longing for Logan’s immortal qualities. Kudos to Hugh Jackman for devoting his body and acting chops to continuously improve this character no matter the quality of the film. I think most people would agree that X-Men Origins: Wolverine was not up to par for an X-Men film with crappy special effects and a congested list of comic book characters. I try to forget the butchering of Deadpool at the end. Nevertheless the film was interesting as we got an insight of Logan’s beginnings; it would infuriate fanboys but interest less committed fans. That was Jackman’s fourth film as the Wolverine and he was an absolute beast in it, unlike the previous three where he was held back slightly. 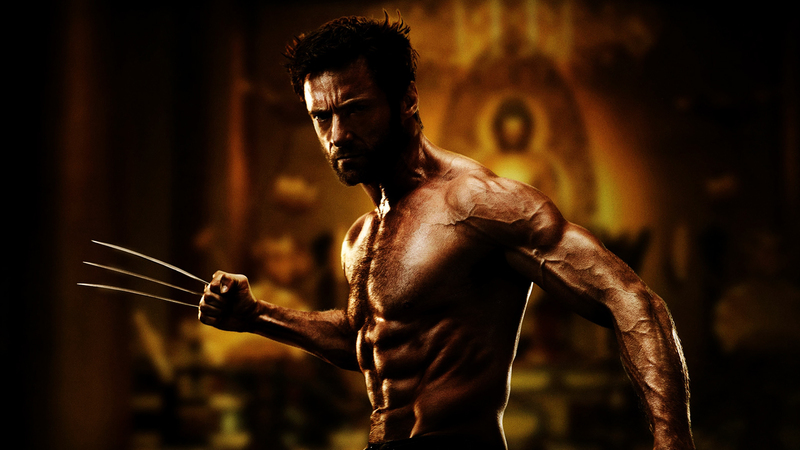 During an interview with Jackman, he expressed his desire to make the wolverine really look like an animal, he wanted him to be savage, untamed, have veins popping out of his arms. The Wolverine depicts the superhero exactly how Jackman has always wanted, finally seeing blood on those indestructible claws. Following X-Men First Class I think Fox has finally taken the right direction with this franchise stepping up the quality of the films. Previous X-Men films were entertaining but lackluster in terms of really relishing the characters powers. Despite the long list of continuity problems I think they can be forgiven by most people, having enjoyed First Class and now The Wolverine. This film studies the Wolverine as the human that he is and less the mutant. We get a true sense of the extent of his “gifts” and the toll it takes on him as he wishes for death. He feels lost and distant as he tries to look for new meanings in his life. Still hung up over the death of Jean, he avoids human contact as everyone he loves eventually dies and he has to experience that endlessly. It definitely is more engaging in terms of character development. As for the plot, I’m not familiar with the comics but it’s entertaining enough. We see Logan get involved in complicated family dynamics and in the process he finds a reason for his existence. There’s a sense of mystery about who’s bad? are their intentions right? and what that person’s role is? it’s entertaining but what diminishes a seemingly acceptable story line is the constant need to spoon feed it to the audience. I think most audiences would have been able to get the jist of the ending about half way through because of it. That being said there’s a satisfying amount of action to look past the somewhat predictable story line. Although there are still surprises to offer some thrills. The action sequences are relentless and totally badass. Having watched the trailer I expected the bullet train sequence to be low in quality but I’m happy to be proved wrong as it was tastefully ridiculous but exciting nonetheless. The only negative would be that we don’t genuinely see any Adamantium to skin penetration. Probably to keep the parental ratings down but if we can see blood on those claws then ideally we’d want to see where it came from. The Wolverine is a solid addition to the X-Men franchise and comic book genre, it isn’t bad nor is it great, what it does do is hit the spot for an entertaining marvel film. Expect some exceptional performances from a host of Japanese actors and once again another intense performances by the wolverine himself Hugh Jackman. This entry was posted in Roze-Reviews and tagged 2013, Best Comic Book Film, Brian, Brian Te, Comic Book, Comic Book Film, Comics, Fox, Fukushima, Hiroyuki Sanada, Hugh Jackman, Japan, Logan, Marvel, Marvel Comics, Marvel Films, Marvel Movies, Marvel Studios, Rila, Rila Fukushima, Tao Akamoto, Tao Okamoto, Tee, The Wolverine, Wolverine, X-Men, XMen, Yakuza, Yashida by rozeminho. Bookmark the permalink.